The youth of today seems mesmerised by the ‘selfie’ trend. They take selfies anywhere and everywhere, without paying heed to the sentimentality and solemnity associated with the occasion. They do not even spare funerals. 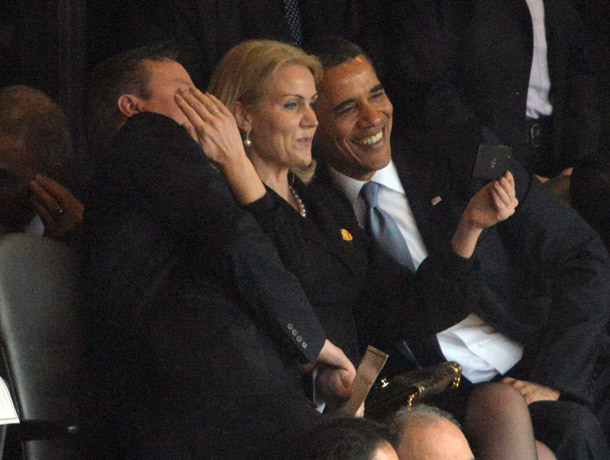 Danish Prime Minister Helle Thorning-Schmidt ‘selfie’ at the memorial service for Nelson Mandela went viral on the social media. This image showed Thorning-Schmidt flanked by a smiling Barack Obama on one side and David Cameron squeezing in on the other. All of them appeared to be ‘having fun’ when everyone was paying their respects to the departed soul of a world leader. The reactions it would have created is well imaginable. Here is a lesson for every netizen. The moment an image is posted, it would travel at the light of speed all over the globe. Any ‘awkward’ image provides an opportunity for the netizens to post their comments and most of these comments are going to be unpalatable. When you post an image on the social media or the Internet, you are responsible and accountable for it. It is for you to ensure that you do not bring in shame or touch the sensibilities of others with the image. You need to ensure that you do not hurt anyone’s career or personal life in any way. Make sure that you have the permission to post someone’s photograph on the social media. Copying and pasting someone else’s photo without prior permission, even with due credits, is a crime and violation of copyright. In today’s world, many legal cases have emerged due to such unauthorised posting of images. Many have been charged as stalkers/ pedophiles. This makes it all the more important to avoid taking pictures of children without permission of their parents, even at public events or social gatherings. Some schools have banned photography in all their school functions, obviously to avoid misuse by unscrupulous elements. Before tagging anyone on a photograph, it is your responsibility to obtain necessary permission from the person. Many people today feel offended by such acts. Posting the images of your children need special attention. Over exposure of your children on the social media is not recommended. Ensure that the images are not likely to be misused by anyone. Similarly, posting images with high resolution may also invite trouble. It would be prudent on your part to distort or add ‘noise’ to the image before posting it. 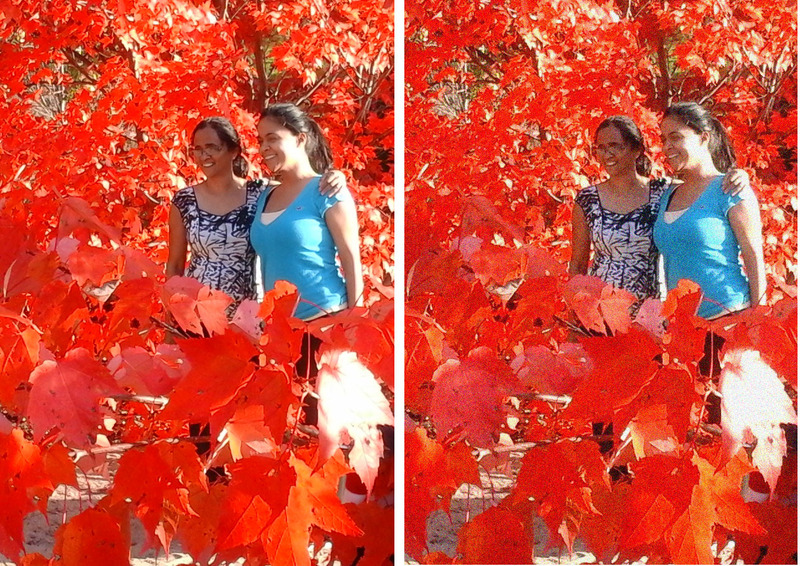 You can use any photo-editor or use many free online photo-editing site for it. Avoid posting disturbing images of sick people, accident victims, etc. This would leave a bad taste in the viewer’s mind. Selecting necessary security settings to ensure that the persons intended are only seeing the image posted is always a good idea. In case you are comfortable with the subject of your image, you can broadcast it to the whole world. One got to be extra-careful while posting of images during distress or calamities. Some of your images may spread a feeling that you are not sensitive to the situation. Similarly, images of funerals, cremation, obituaries, etc must be minimised. You should pay special attention to the photos you post for such melancholic occasions and remove them immediately thereafter. Before uploading, posting or sharing a photograph, always pause and think what potential damage your act can cause. Consider as to how your friend’s parents, siblings or teachers would react to the photo. There have been many instances of people losing their jobs due to such inadvertent postings by their friends. Many companies, prior to hiring, do peruse through the prospective employee’s social media sites to look for such aberrations. Photos of many politicians in their youth have come haunting them later and have often caused considerable embarrassment. Many netizens tend to be bold on the Internet and on social networks and do things they might otherwise not do. Many create fake profiles and some use tagging to attract the unsuspecting netizens on to their web page or website. Obviously, these sites are real suspect in their content. Geo-tagging of photos is a way of letting friends and families know where you are. At the same time you are also at risk from burglars and stalkers. Cyber criminals on the prowl can easily find out about your routine and also know when you are away from your home. If you are out of station and your photo posted with a location far away will be boon for the burglars as they can very well predict your likely time of return. If you post pictures from a concert, fair, flash mob or any public gathering, you can post those photos without specific permission of the people you captured on camera. There is an expectation of privacy in places like a public washroom, swimming pool, courtroom or hospital. In many schools, photography during the public functions are strictly forbidden. In such places, obviously, you cannot shoot and will have to depend on the official photographer if any. It is the responsibility of every netizen to take responsibility for all the photos and images posted on the Internet. Hence before posting “Always STOP and THINK” about the likely repercussions your innocent post may bring about. Over enthusiasm to shoot a selfie must be curbed, especially at public functions as you become more of an eyesore. 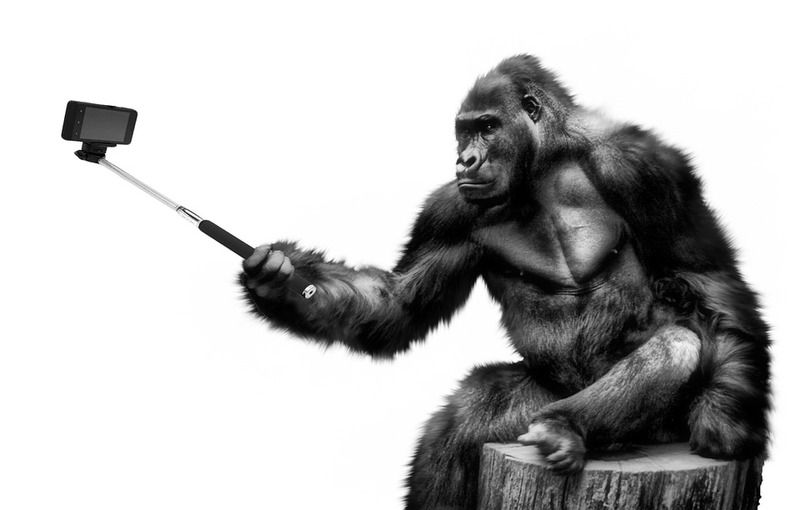 As per The Telegraph, more people have died in 2014 from selfies than shark attacks. An engineering student from Tamil Nadu, India, fell to his death while taking a selfie. Seven Indian youths drowned while taking selfies on Mangrul Lake, Nagpur, India as they had tipped over while posing for a selfie.